Phelma Margaret Rizzi, 92, of Olathe, passed away on June 15, 2018 at Good Samaritan Nursing Center. Se was born on November 12, 1925 to Ralph and Mary (Mesolella) Caschetta in Rochester, New York. 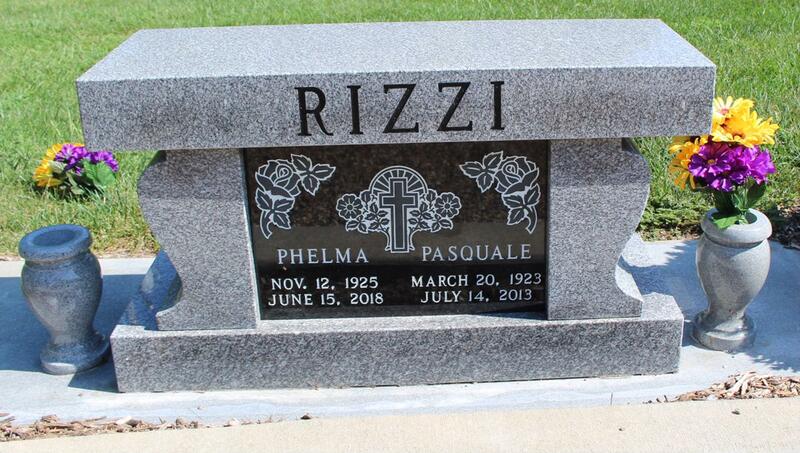 On August 14, 1954 she married Pasquale Michael Rizzi. 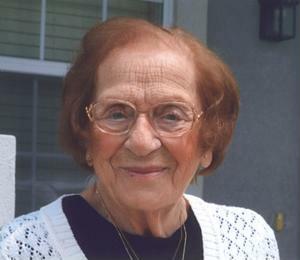 She was a member of Prince of Peace Catholic Church, and enjoyed reading, baking and the casino. Phelma is survived by her son, James (JoAnne) Rizzi, and her daughter, Marianne (Ricky) Keaton, grandchildren Jeffrey Rizzi, Linda Migliazzo, Shawn Everitt, BethAnne Ballew, Kyle Keaton, and Nicholas Keaton and great grandchildren Tyler, PJ, Izzy, Ayden and Ella. Please share your memories of Phelma Margaret.